Supported Missionaries- Arthur David-in Liberia. Rod Kyle-in New Plymouth, New Zealand. Curry Montague-in Hungarian Mission Program. Joseph Ruiz-in Mexico, Peru, The Philippines. World Evangelism Ministry-India Radio Fund. Howell Ferguson-Chimala Bible and School of Preaching, Tanzania. Westside Minute on 95.3 Brownsville radio at 8am and Sunday morning sermon at 9:30am. 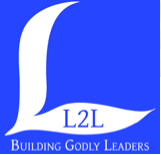 L2L is the oldest and largest leadership training program used by the churches of Christ today. It is a tool churches of Christ can use to help prepare their youth and adults for service in the Kingdom of God and help develop their overall leadership potential. L2L is more than just attending a youth rally or participating in a Bible Bowl. We offer a variety of Bible-based class materials and events for preschoolers through adults. The purpose of L2L is to help local congregations instill the Word of God into youth and adults so that they will stand firm in the faith. Teaching students to do “Bible things in Bible ways” is the essence of L2L. Learn more here.